The first time I came across Tom Yum Pasta was at Eighteen Chefs. I didn’t dare to order it because my colleagues said that it’s quite spicy for them. I am not someone who can take very spicy food, and most of my colleagues are spicy food lovers. If the dish can make them go *sniff sniff*, it means that I will cry and kao tolong once the food gets into my mouth. The second time I came across Tom Yum Pasta was at PastaMania. I am not a fan of PastaMania but Dawn is. During one of the dinners, I ordered the Seafood Tom Yum Pasta and it was a great discovery! It was delicious and it changed my impression of PastaMania. 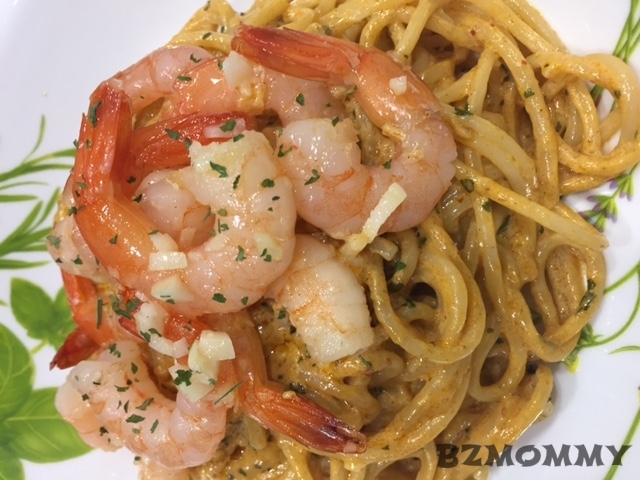 This is my 2nd attempt of my own creation of Tom Yum Cream Pasta, with Garlic Butter Prawns. Simply love the sour-ness and the spiciness just nice for me. Cook pasta in a pot of salted water, until Al Dente. Drain and put under cold running water to stop the pasta from cooking further. Set aside. Set aside about 2-3 tablespoon of pasta water. Heat the pan, and melt the butter. Add in chopped garlic and do a light fry. With the remaining butter and garlic in the pan, add in sliced chilli padi and do a light stir. Add in the tom yum paste, lemongrass (optional), kaffir lime leaves (optional) and about 2-3 tablespoon of pasta water, mix evenly. Pour the cooking cream in and mix gently under low heat. (optional) You can add milk if you prefer more sauce. Add in parsley and mix evenly. Add in cooked pasta and mix the sauce together. Dish the pasta, place the prawns on the top and sparkle with some parsley. I am so glad that I found a new taste for our home cooked pasta meal! 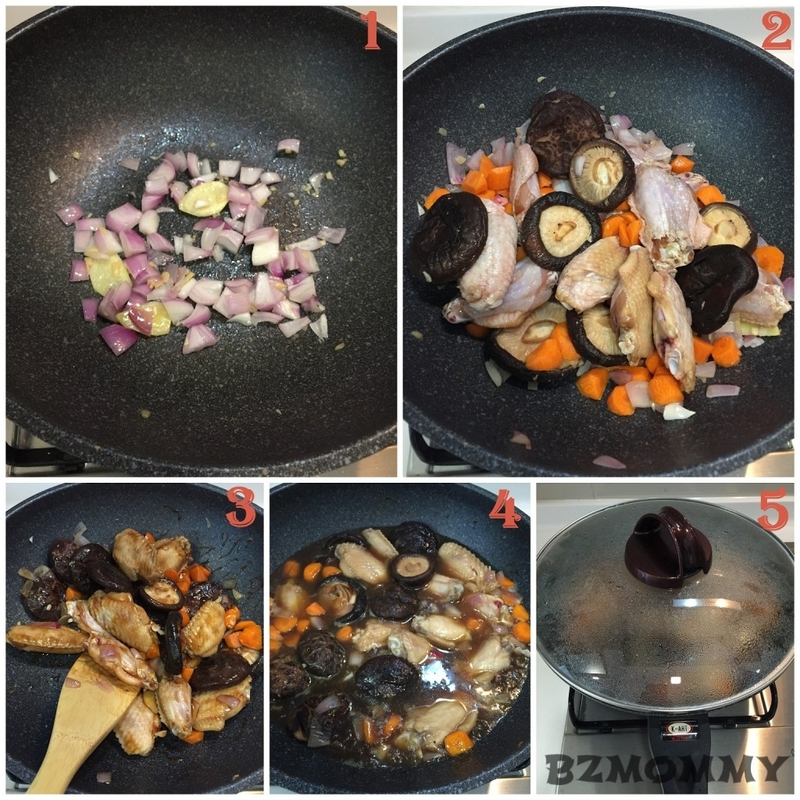 This entry was posted in BZ Kitchen, One-Dish and tagged Recipes. Half of May past.. and it wasn’t a very good one. Had a super bad don’t-know-what-kind-of-virus that knock me down for a week, the younger one also had a strange fever with-no-other-symptoms that lasted a few days, the “stressful” exam period for the elder kid etc. And as if these are not enough, noises from different areas and people choose to add on. Sometimes when things do not go well, they follow one after the other. And probably at this time before the mental starts to break down, it takes a person’s steel mind to see the good out of these. No one really know the effort and pain you are going through. People will choose to use the past to haunt or hurt you if they do not get or hear what they want to. Just as when you thought that the past is behind and you want to leave that chapter behind, others who went through the past with you decide to remind you and use it to what and when they deem fit to. Is this, a form of emotional blackmail? I felt unjust in some situations that I am in. Words from a phone conversation that got twisted and translated to no-where-near-the-original-meaning to other audiences, implied sentences that was conveyed via whatsapp that till today when I re-read them, I still feel extremely hurt. However, I chose to keep silent because I reckon that no amount of explanation will be enough. And strangely, why do audiences expect an explanation? 왜 ? Through these, the pillar in my life stood with me. He allowed me to cry and bawl and yet complain nothing about his wet shirt and shoulders. He extended his long arms and bear hugs instead of using words to comfort me. Though my heat aches, he has helped to make the ache somewhat palatable. 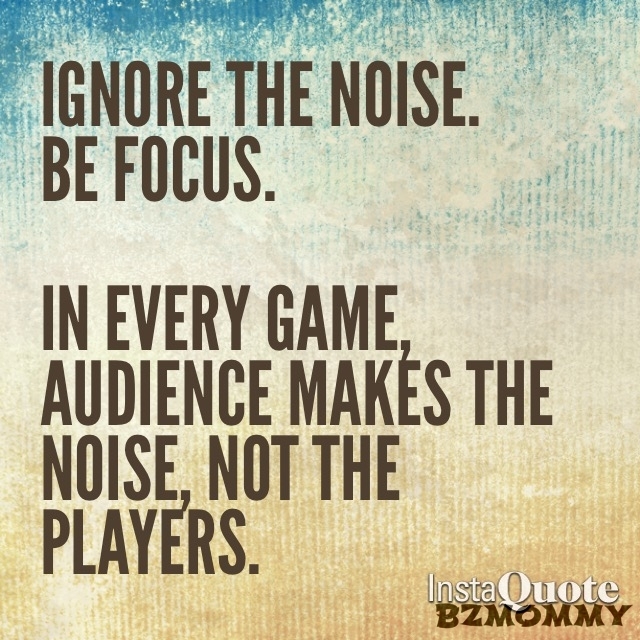 Ignore the noise. Because they are just noise. It’s been a while since my last flea. I started this “once-a-while hobby” since I was about 20, at the then famous Clarke Quay Flea Market. I can still remember we had to bid for a stall on a weekday evening, and we can choose between a non-aircon or an air-con stall. The crowd was mostly vintage lovers, uncles looking for value-for-money items or collectibles, tourists who happened to be staying near the area and once a while, young couples who loved a sudden find of pretty sandals or a good book going at $5. In 2004 – 2007, Yahoo Auction became a very popular online marketplace. It was easy to use, time-saving, and less hassles comparing to lugging items to and from a venue. Best of all, it’s free! No rent, no commission! Too bad it was not a sustainable business for Yahoo, and it stopped. And I was caught up with life…and the “rubbish” piled up, thrown and got piled up again. Qoo10 started in 2008/2009, and I used that platform to try selling generally new unused items. However, as their market strategy was for commercial platform and not to be a marketplace like Yahoo Auction, I shifted my mindset too and started my small online business. But my “rubbish” was not forgotten…and it’s piling up every month. Don’t ask me why I have so much “rubbish”. Things that I have no use for (even for new bags or clothes which I don’t use for whatever reason), could be a junk or rubbish to me, but it’s someone else treasure. I always hold on to the 3Rs and will try to recycle or reuse whatever I can, to do my small part in saving this earth. In 2013, after the kids got a little older and having good in-laws who helped us looked after them, I started looking out for flea markets again. “For Flea Sake” started sometime in Year 2010 and got popular with the fleas which they organised in Scape. Scape used to be a quiet area inside Orchard, but the fleas changed it to be a popular weekend place for young couples and tourists. 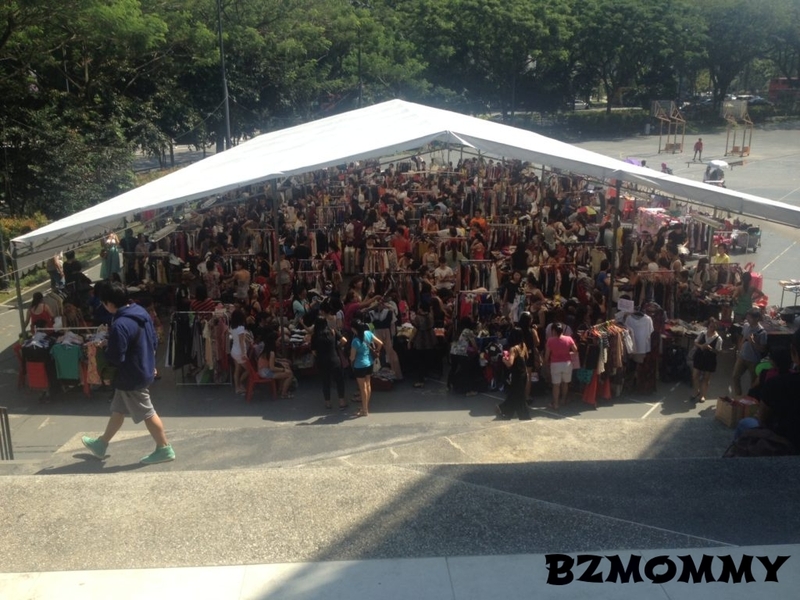 I participated once in the Scape Flea Market, the sales wasn’t really good, it was hot and the space was tight. 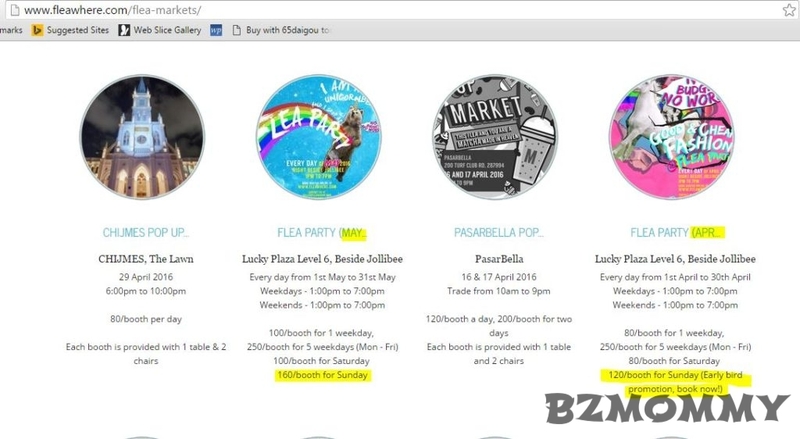 For Flea Sake also started with another flea venue at Lucky Plaza, and I was quick to jump on their initial promotion where their rent was only $42.75 after a 5% app discount. The crowd there was crazy! It was a “profitable” experience, and it was not as hot as I was in Scape. I sold most of my items and was happy that the items finally have new owners who see the value in them. But like many online reviews that you can find, the place was dusty, warm even with aircon but who cares really? The crowd and ready buyers were mountain-ful. Hubby and I weres dead tired after the flea at 7pm. 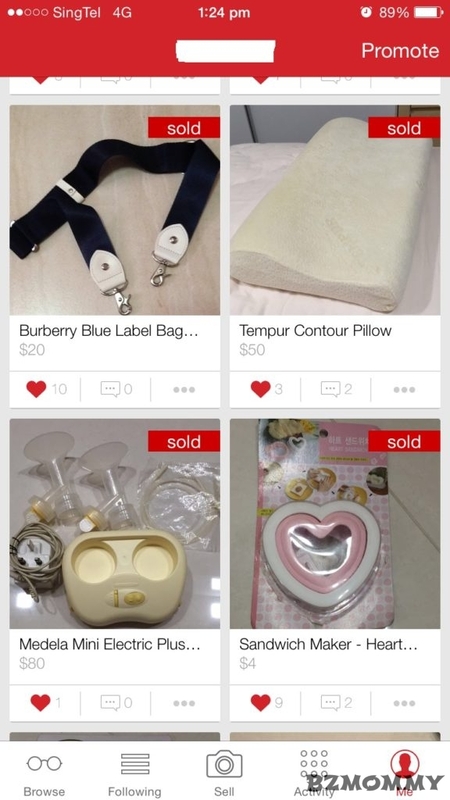 After this, Carousell got popular and everyone were excited because it’s a good app to sell second-hand item. For those who used to love Yahoo Auction, Carousell was like a “finally you come back” kind of feeling. Yay! Another way for me to find new owners for my poor un-loved-by-owner items. I am using this since 2014 till now and happy that I had helped to reduce items at home. Even my mom and sisters were amazed! This area is definitely hotter than the one opposite Jollibee. It felt cool in the morning, but trust me, the place turned into a hot oven when the flea starts at 12pm+. The organiser’s notes will state that there should not be queuing before the start of the flea. However, when my colleague reached there at 9.45am, she was already the 3rd in queue. If you have a spot in mind, do reach early to queue. However, if any table is fine to you, just reach around 11+, you will still get a table as well. The area is small, so the potential customers will still go to any tables with good deals. Yes, you can queue with your items. Just do not start selling while queuing. 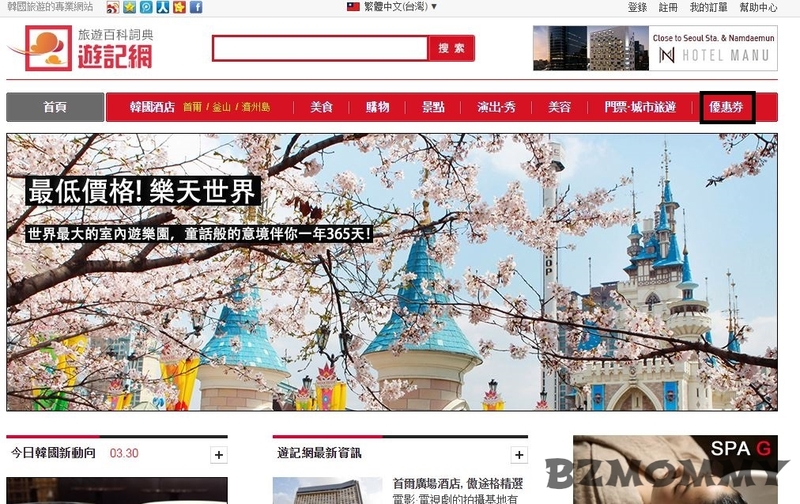 There are potential customers who will express interest. And there are also watchful eyes who are the event organizers. Queue starts from the wooden door beside the lift lobby, not from the glass door. We were allowed to go in at 12pm. There’s no time for table cloth or anything fanciful..just open whatever you have and start selling. (I have to state this because one of my colleague brought “table cloth” – I forgot to tell them that there was no need to). Have a heavy breakfast or take turns to eat while queuing. EAT BEFORE 12pm. Bring : Face masks, Eye Drops, Wet Tissue, USB/Portable Fan, Tissue & Water for yourself. I don’t suggest wearing contact lenses, so put on a pair of specs instead. For those who doesn’t need to wear specs, maybe a pair with no degree will help protect your eyes. Make sure you bring along the specs cloth to clean your specs after the flea. The place is SUPER dusty and dirty. That explains the face masks, eye drops, tissue and wet tissues. One of my colleague had USB Fan and it was a saver! But it also mean while it helped to cool us down, the dust get blown into our airway and eyes more than anyone else. Don’t need to buy new plastic bags, just collect those old paper or plastic bags that you have at home and bring many of them. The potential customers are mostly helpers from Philippines and Indonesia. I had a couple of Chinese speaking customers and some locals as well. In the late afternoon, I saw a few men as well. Don’t worry about not clearing anything. My colleagues were worried and the thought of lugging back the things home was uncalled for. Unless you are being unrealistic of selling the items at a high price, most items will surely find new owners. After deducting the rent, you probably will take back between $150-$350, depending on the amount of things you have to sell. If you are driving, park you car elsewhere and not in Lucky Plaza. However, if you like the “convenience” or a ready place to go if you feel faint, the carpark fees from 10am-7pm is about $23. So do your maths. Clothes – Men’s clothes inclusive. Children too. Average brand clothes such as Espirit , Mango, etc with labels sell well. However, if you can’t let go your clothes as low as $1, then don’t bother to bring. Prices usually start with $5 each or 3 for $10…and eventually those not very pretty clothes will be left… then that’s the time the prices will drop to $2 then $1. So unless you want to pick the nice clothes out and lug home before you reduce the prices, if not, only bring clothes that you can let go at a cheap price. 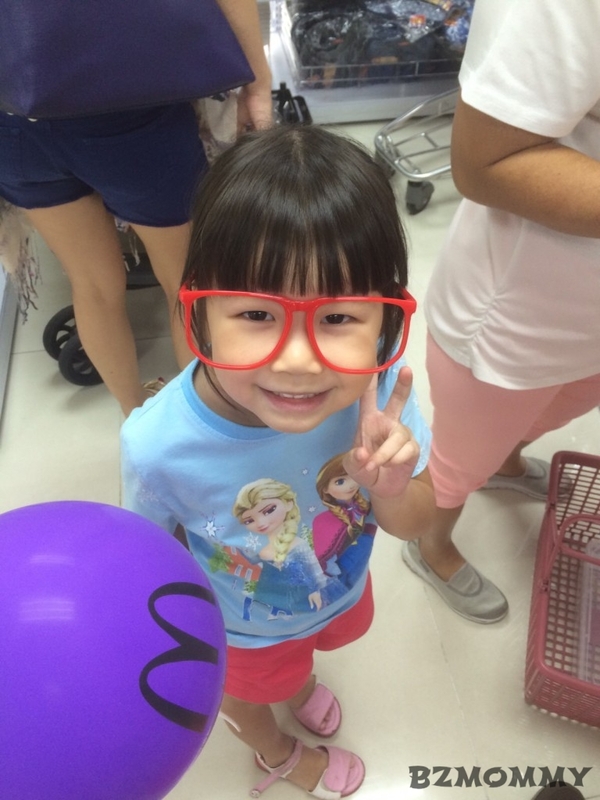 Children clothes between age 2-10 >> Good! Shoes – Depending on condition and brand, the price is about $10-$5. I sold some old children slippers at $3 each. Bags – Branded or no brand, new or used…all can. Of cos the “branded” ones will fetch higher price.$10-$5. Small coin pouches and medium size cosmetic pouches sells well too $2-$1. Soft toys – this is a surprise to me…Palm size soft toys at $2 each (which later I sold some off at $1). Some soft toys are new but alittle dusty…but I am glad that they have new owners! 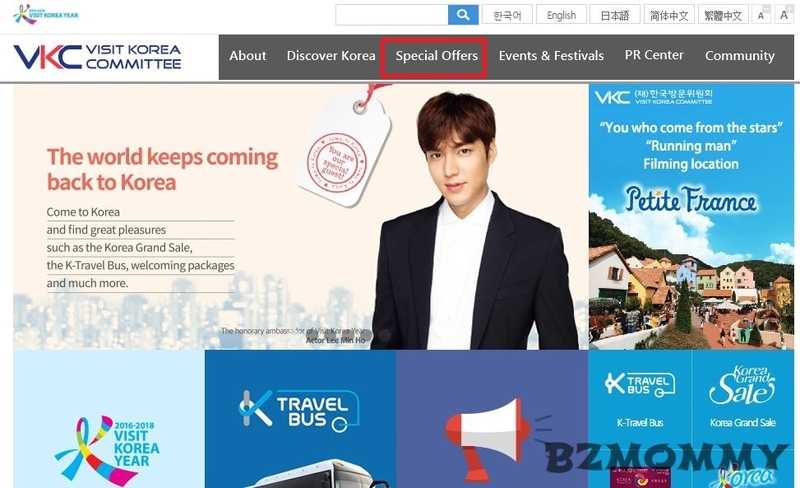 Cosmetics – ready buyers but Carousell will probably fetch a higher price..
Keychains – surprise again! For something which I had abundant of (due to past fleas), I sold about 20 pcs of the keychains and left probably 5. Happy! My golden rule #1 : if there is something that can fetch higher price in Carousell, then don’t bring to this flea market. My golden rule #2 : If you think that the item can fetch higher price in Carousell, but it had been there for months and no one is buying it, then you can try to get rid of them cheaply in the flea market. This entry was posted in Earn Money, Happenings and tagged Carousell, Flea Markets, Fleawhere, For Flea Sake, Lucky Plaza Flea Markets. Sometimes I felt so lazy to cook. Probably due to the hot weather, or there are just too many things to do instead of spending that 1 hour standing in the kitchen. I am lazy, I know. Wouldn’t it be nice to have a cooking machine that automates the whole process of cooking, including cutting, marinating etc, to serving the dish in the taste that the family like? Found this recipe via the internet a few years ago and saved it in my phone. I can’t seem to find the actual link to the site anymore :(. It’s a delicious stew that delights the kids and the man in the house. The kids love the gravy with their rice and the man loves the gravy-soaked mushrooms. Marinate the chicken and leave it for 4 hours. Cut the onion into small chunks. Heat the pan, add oil and stir fry ginger slices and chopped garlic until fragrant. Give a good stir. If you want to add Enoki Mushroom or snow peas, this is the time to add and let it cook briefly. The original recipe uses 1 cup of water and uses corn starch to thicken the gravy before serving. However, the kids love the gravy and hence I add in more liquid and omit the thickening part. Besides, mushrooms and potatoes soak up liquid and hence this proportion of sauces work well for me. 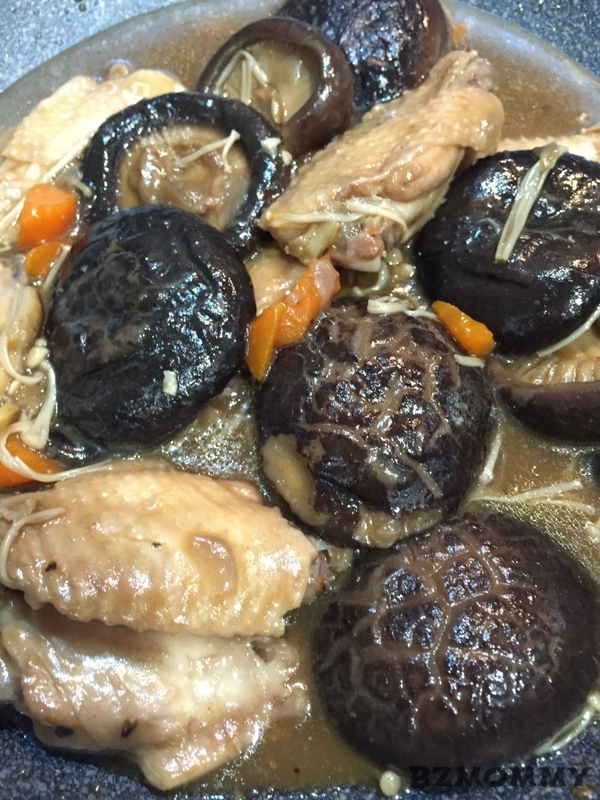 A bowl of warm chicken mushroom stew is perfect for a lazy mom like me. 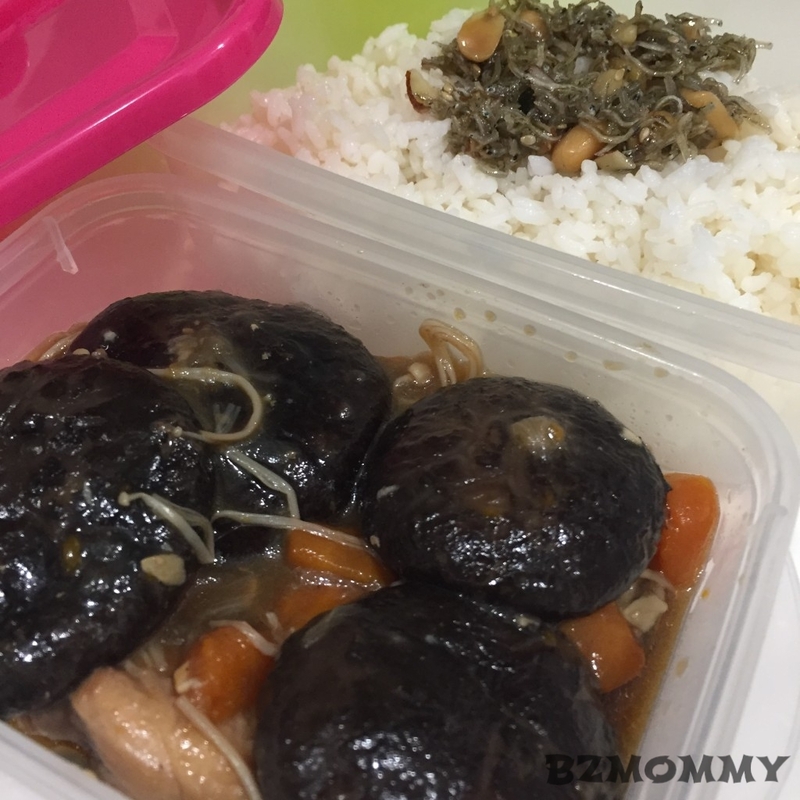 This entry was posted in BZ Kitchen, Child Friendly Recipes, Stews and tagged Lunch Box Ideas, Recipes. Oh My Gosh.. a long time since I actually wrote here. It was such a busy period ever since my last entry (that’s Oct 2015!) – family travel, school holidays, Christmas, having a healthier routine, Chinese New Year, businesses, work – WOW! Everything seem to be happening so quickly and Dang, it had been 4.5 months! We brought the kids to Korea in Nov 2015, together with my in-laws. We had a fun 11 days there and we got to experience the end of autumn and the start of winter (SNOW!). 2 seasons in a trip! We were fortunate to see the colourful trees, falling leaves and experience the first snow in Seoul. Though we were not able to try out skiing or sledding (as the snow was not thick enough and the skiing resort was not in full operation yet), seeing both seasons and the snow for the first time (for all 6 of us!) was already a very fulfilled trip! This is the 3rd trip to Seoul for both hubby and me. Yet there’s still so many places we had not left our footprints, and so much to discover or to try there. 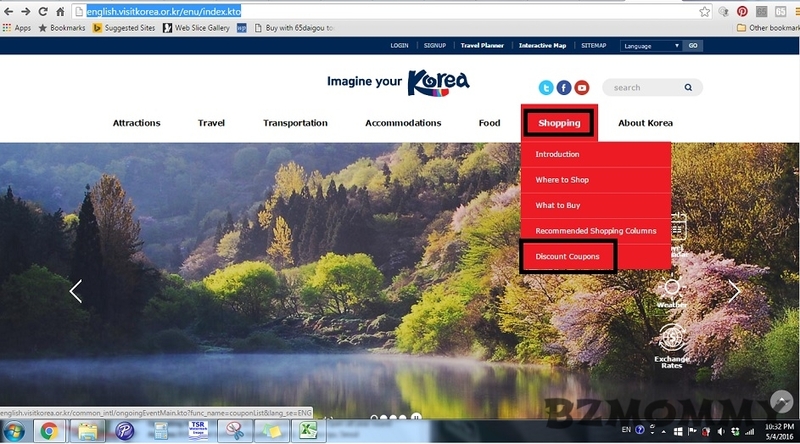 In our previous trips, we stayed in hotels located in popular areas – Myeongdong and Dongdaemun. These are wonderful places to stay because they are very conveniently located and there’s shopping and eateries just at the foot of the hotel! For this trip which hubby & I became the tour planner + tour guide, we decided to try BnB as it’s quite expensive to book hotel rooms for all 6 of us. If we go by per night basis, a hotel accommodation for 10 nights will be close to SGD$4,000 for 2 rooms! After some research, we decided to book a room through BnBHero. 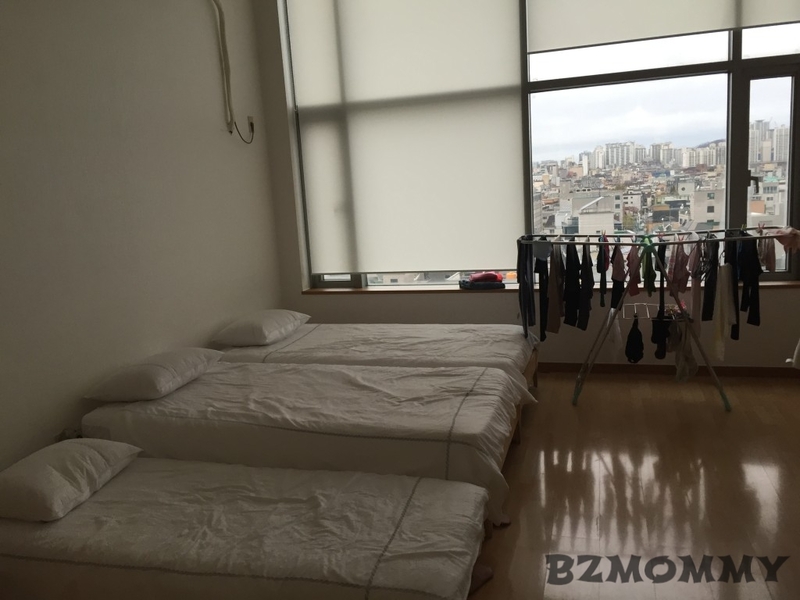 This room can accommodate all 6 of us, a loft kind of room and is located in another popular area – Hongdae. It’s just 1 min walk from the subway station, and there are a lot of shopping and eateries around the residence. Best of all, it cost us about SGD$2,130 (including fees charged by BnBHero) for the 10-night accommodation! The photos published on the website are quite true to what received us, a very much relieved to me. 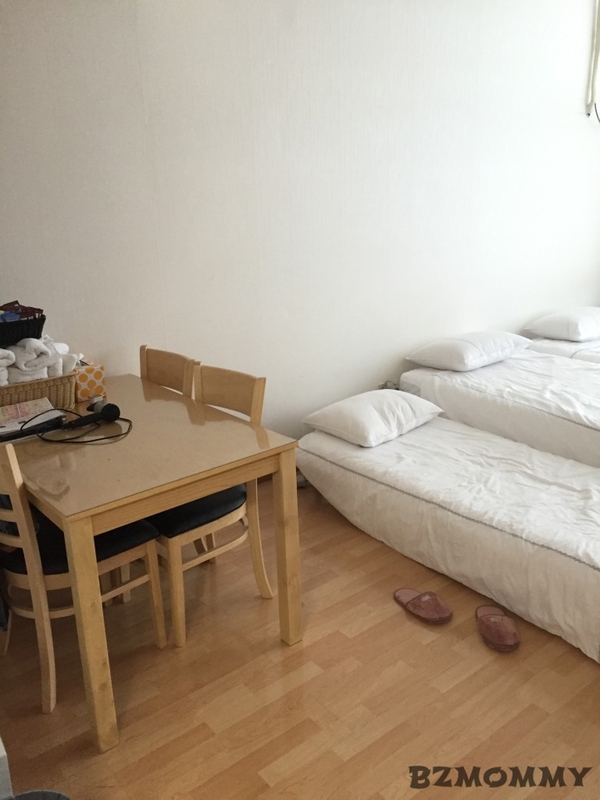 This is one of the risks that we all need to accept if we want to book a BnB room. I didn’t get to take much pictures of the room because we were busy with the kids and planning for the next move – there was hardly time for me to rest there, let alone taking photos. Besides, the kids were so excited when they saw the room and started exploring and “chopping” their beds with their smelly “chow chow” – making it almost impossible to take good pictures. If the room is carpeted, it provides warmth during winter period. You don’t get a cold shock that run through the spine when you were in that dreamy state and first land your feet on the floor. However, if you are worried about the cleanliness, or allergic to carpets, then go for a non-carpeted room. Read on other tips below to stay warm in a non carpeted BnB room. There’s definitely some form of heating facilities in countries that experience the 4 seasons. However, it is important to know the type of heating facilities available in the accommodation – is it floor heating? room heating? Portable heating? Heating controlled by the building? In the case of a non-carpeted room, it’s likely to have floor heating facilities. In this room that we rented, the owner also provided a portable heater – which is super useful when we woke up in the freezing cold morning, or after our shower. It’s a saver to the kids, to the elderly and even to me who is afraid of cold! The owner had also provided bed heater for each of the beds. This is my first time knowing there’s such a thing (ok, I am sua-ku). Basically there’s a pad below the mattress cover and you can adjust the temperature, and it will provide warmth to the sleeper through the cold night. Ok, maybe this is a weird tip. However, we will usually miss this out because hotels provide them! But it’s a saver in a non-carpeted room. So, do find out from the owner whether they provide these and enough for everybody, if not, bring your own (Daiso sells them at $2 each!) ! Another weird tip, but important one. You saw that huge clothes rack in the picture which I took? It’s extremely useful during winter time and long stay because there’s just so many clothes to air for the 6 of us! Imagine the layers of clothes which we wore each day, and the wet jackets after being in the snow or sleet! We need to air them dry and the hangers, cloths pegs and racks are Important! There you go, 5 simple yet usually neglected pointers to consider when renting a BnB in Seoul during the winter travel. If you ask me whether I will rent a BnB again, my answer is a definite Yes! 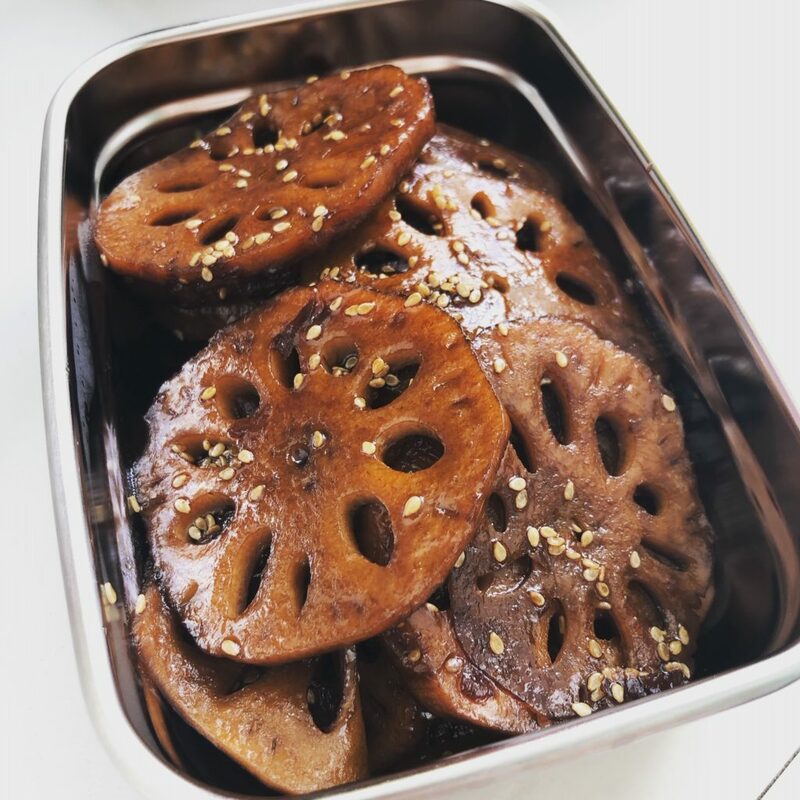 This entry was posted in Korea, Musings, Travel Journal and tagged Seoul. I don’t like to idle. I don’t quite like the idea of spending my precious time doing nothing, or feeling bored. So when I have some pockets of time available, I will participate in online surveys to earn points which I can accumulate to redeem shopping vouchers or extra cash! Here’s some of the sites which you can participate, and I personally tested and redeemed vouchers or cash from! Amazon Gift Card, Vouchers from NTUC, Waston, Robinson, Takashimaya etc. Points do not expire. The redemption vouchers reached me in an amazing speed – within a few days! 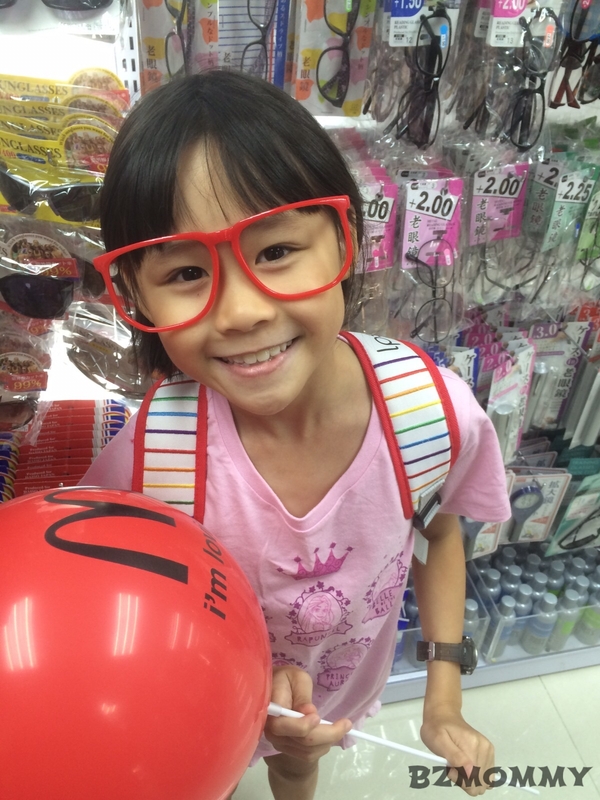 Redeem for NTUC Vouchers. EPoints will expire after 1 year from the last date you logged in to your “My Page”. 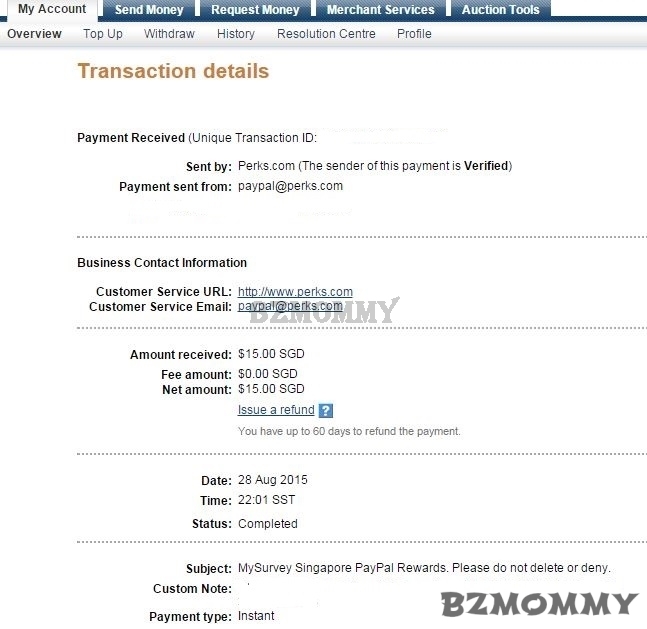 Minimum draw out amount via Paypal is $12.50USD, there’s a 2% handling charge and thus payment is $12.25 USD. Almost immediate deposit of the redemption amount into Paypal! Points expire 2 years from the date of last member activity (eg, logging in, completing survey etc). Redeem cash paid via Paypal or various shopping vouchers. Take note that they do not allow logging in the site doing surveys while you are overseas and they will suspend account if you do that – for reason(s) which I don’t know why? My account was suspended once as I might had logged in while in overseas (Ops, holiday also cannot stand having idle time). My redemption for Paypal cash took about 1.5 weeks to receive. If you are a Plus! cardholder, you are already part of this programme. Earn LinkPoints which you can accumulate to redeem NTUC vouchers or offset NTUC partial purchase amount. Best part : if you do not belong to the target audience whom they are looking for, you will still get 30 points most of the time by just clicking on the survey link! 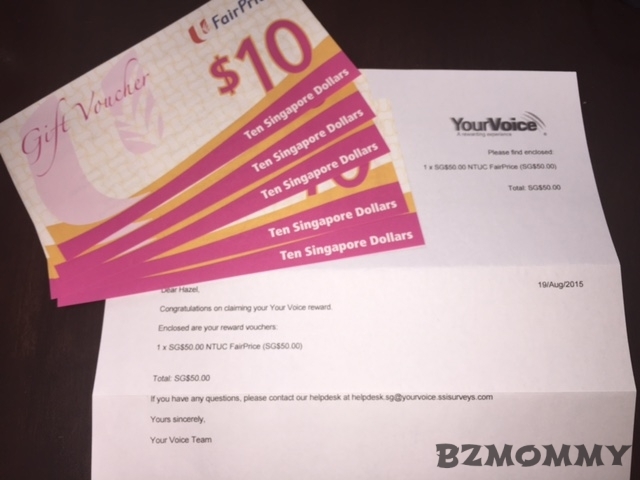 Earn points for shopping vouchers! Points earned will remain valid for 16 months, so remember to redeem the points! Exchange points for NTUC vouchers, or direct cash into PayPal account. It takes 4-6 weeks to process the payment. I applied it on 01 Sep, and only got the payment on 09 Oct. There you have it, the 6 legitimate sites which you can earn a little extra. 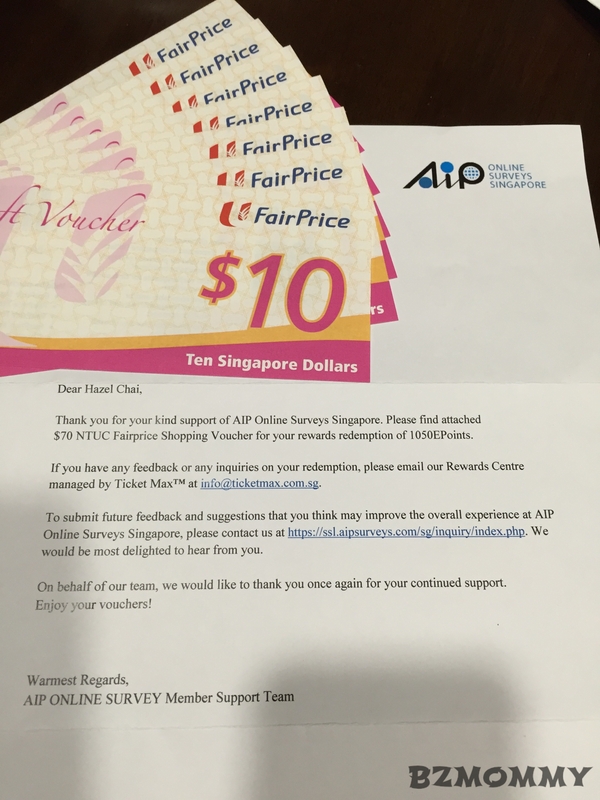 I have received cash/vouchers amount near to $300 from these survey sites ever since I started. It’s not a big sum if we look at the length of time that we need to accumulate to this amount. However, it is that extra way to change idle time to something useful for myself. 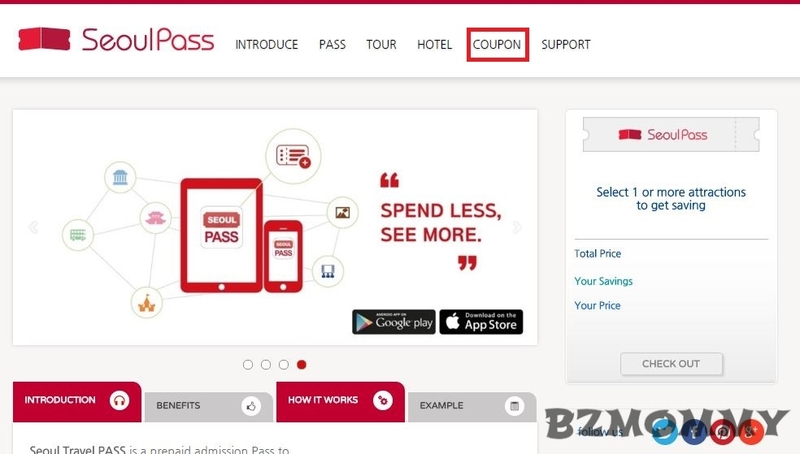 This entry was posted in BZ Finds, Earn Money, Recommendations and tagged Money from Internet, Recommendations. This entry was posted in Dawn, Eva, The Girls and tagged Dawn, Eva. This is an easy bake and for a novice like me, it’s really not that difficult to make! I cannot remember where I got this recipe from, and I knew that I did some modification to the original recipe. It turn out pretty well and even the kids love them! 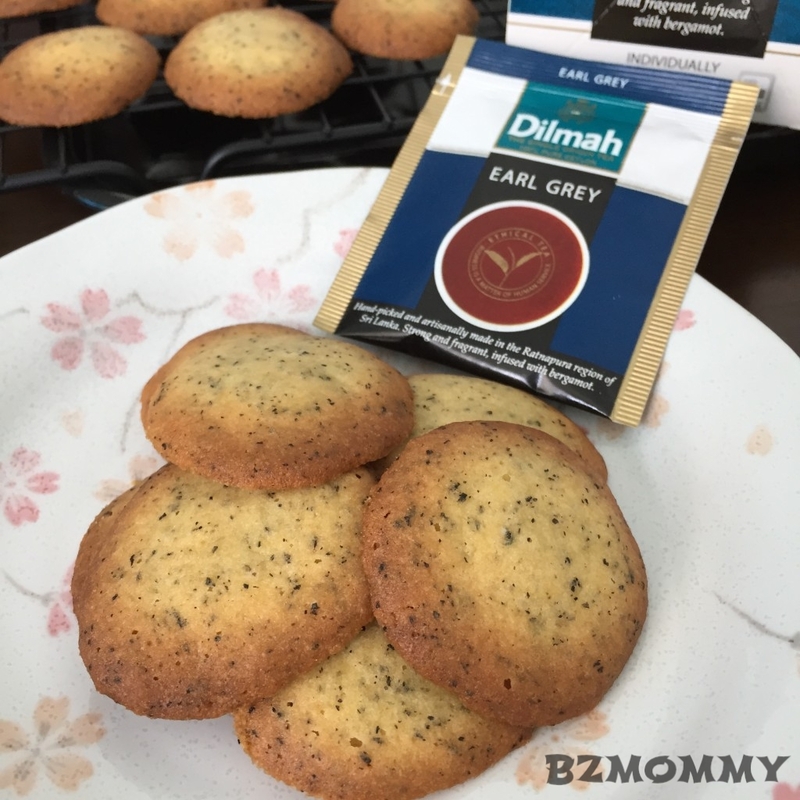 I used Dilmah tea bags as that’s what available for me at the time I went to supermarket. You can use other preferred brands. Soften butter under room temperature. Place soften butter, castor sugar and brown sugar together and beat until it is creamy and fluffy. Add in the egg and vanilla essence, and mix well. Sift cake flour and baking powder into the mixture, mix well. Pour the mixture into a piping bag. Preheat oven at 170 Degree Celsius. Cut the tip of the piping bag (disposable), pipe the mixture on the baking tray. About 1.5 round for each cookie. 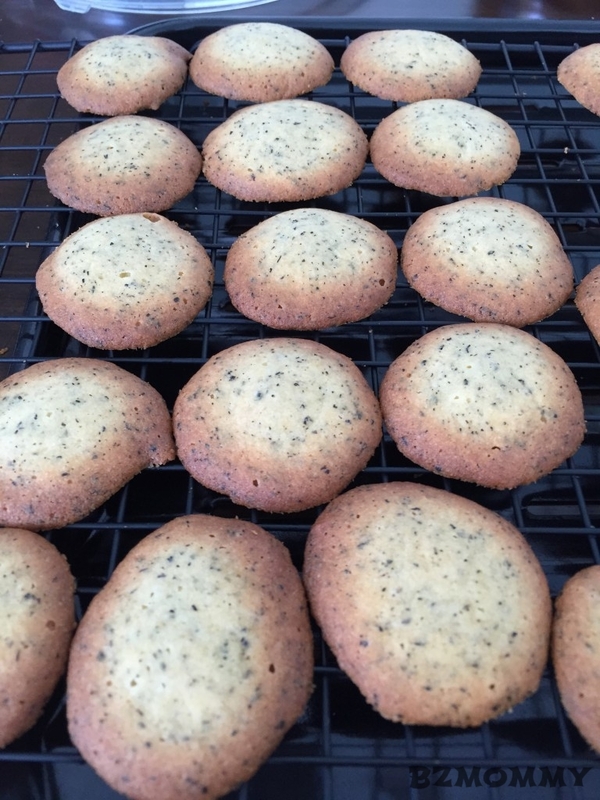 This entry was posted in Bakes, BZ Kitchen, Child Friendly Recipes and tagged Recipes.